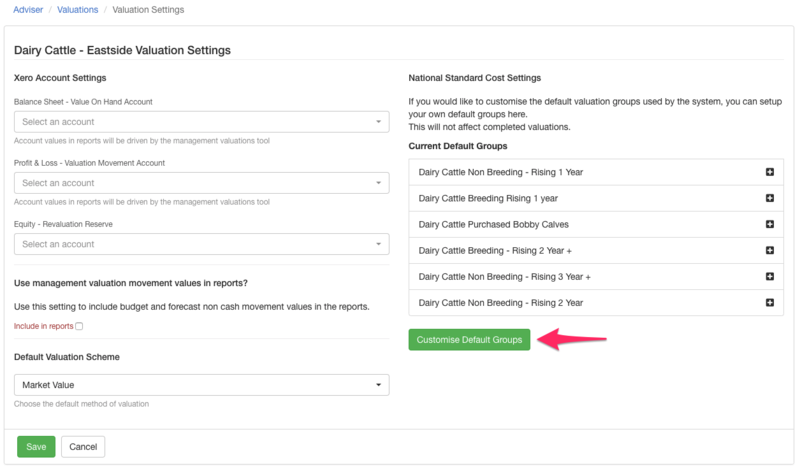 For New Zealand farms valuing their livestock under NSC, it's sometimes necessary to create custom pricing groups to reflect your livestock held on the farm. 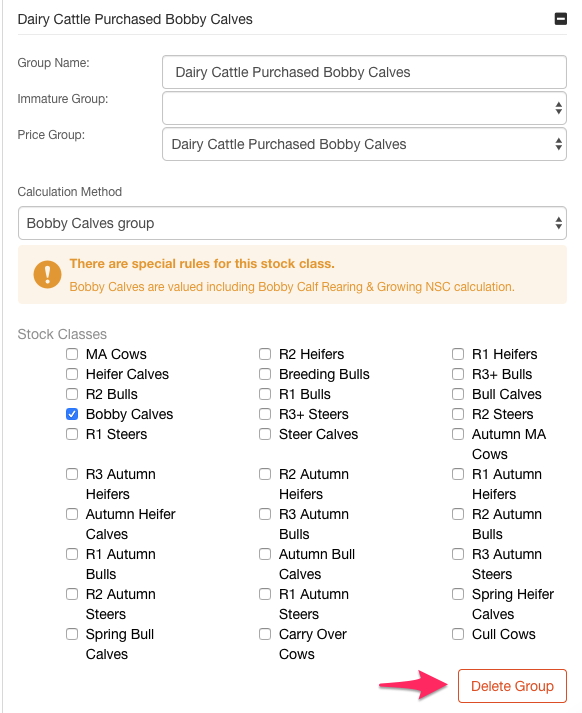 This can be done under the valuation settings for each livestock tracker. On the right hand side of this screen you'll see the default NSC groups and the ability to customise these to suit your own valuation setup. Clicking customise default groups will allow you to move stock classes in and out of a default group, as well as giving you the option to add (or remove) groups too. To see the stock classes and other info that make up the group click the + sign beside the group name and press – to collapse it again. 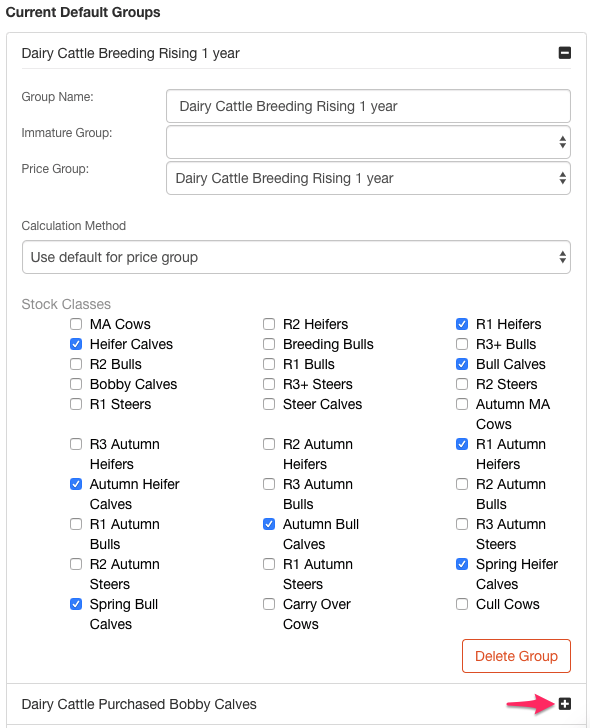 You can create a new group of stock by using the Add group button and selecting the livestock classes and settings as you wish. For mature classes you have the option to choose the immature group it looks back to and edit the stock classes that include deaths and sales in the Surviving quantity. If you wish to delete a group just click Delete group in the bottom right hand corner. When you’re happy with your groupings just press Save. NOTE: It's important to remember that if you're setting up a mature stock group with a mature price group i.e. R2, that you select an immature group - this will allow your values to calculate correctly.